for $129,000. The lot size is 48366.0 Acre(s). 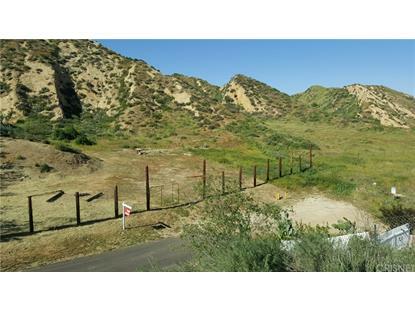 Last of 1 acre parcels in a fast growing area only 10 mins from downtown Valencia. Percolation test passed in 2012, lot has been surveyed, weed abatement done & ready for your new home. All utilities in street including city water, phone & utilities. OK to add well for livestock or garden. Lot is on a cul-de-sac & only 2 homes nearby. Gorgeous canyon & mountain views. You can see the stars at night in this peaceful area. 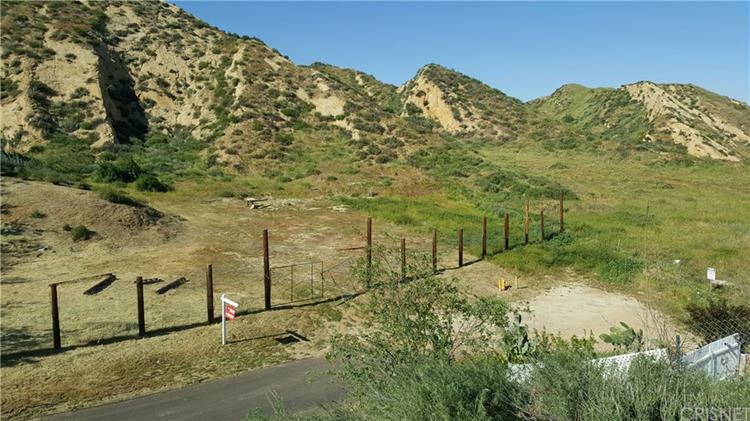 Big enough to build your dream home plus store all you toys & perhaps a few horses or livesock.. 10 mins to Castaic Lake & Piru, 45 to Ventura & Pyramid Lake. Lot is fenced. Seller makes no warranties or guarantees.